Man, I love Star Trek’s ships. I just love all of the different designs. 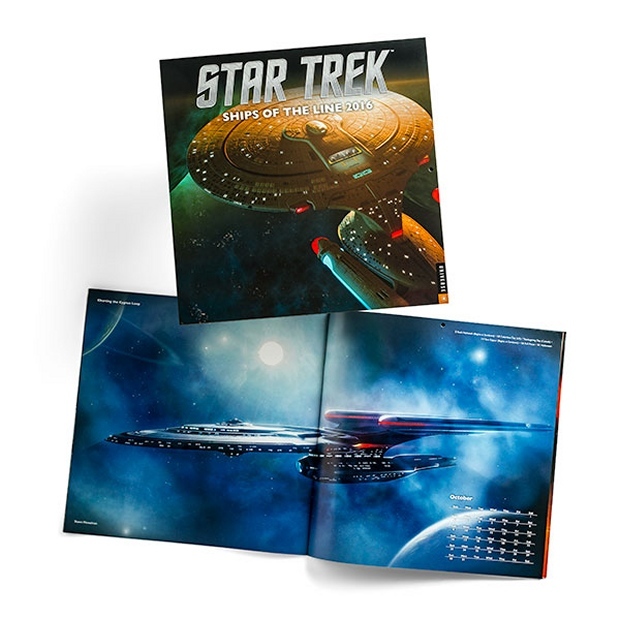 So you know I’m going to hang this Star Trek Ships of the Line 2016 Calendar on my wall. This 12-month wall calendar is in a special wide format that shows off the ships in all of their glory. Think of it as a pinup calendar for nerds. It’s chock full of original illustrations in a horizontal format that maximizes detail in the up-close views of each ship. It is the perfect decor for your ready room, man cave, bridge or crew quarters. As a bonus, you even get a calendar with it. It is only $14.99 from ThinkGeek.